We at Advance Painters have a diverse team consisting of individual painters who possess different talents and skillset and can tend to all the varying requirements of different clients successfully. We have the most experienced residential and commercial painters in Australia. We do business and deal directly with you avoiding other middlemen and sub-contractors in our midst. Together as a team, we are able to produce astounding results. We believe that communication is the core fundamental behind happy results. This is why we provide timely progress reports and ask you for your suggestions because we are always on the lookout for improvements, if any. Our services revolve around customer satisfaction and we do all that it takes to meet (and exceed) client expectations. No matter what the size and where the location of your building may be, we’ve got you covered. We first provide you a quote after analysing the area, labour and time required. You can be assured that our painting tools and the paint itself are chosen to provide you with the best results. Our resources and expertise help us in achieving the finish that you require, to attract your family, friends, relatives and other guests. Punctuality and hygiene matters to us as much as it matters to you, so we are unwavering in our promise to abide by the same. We undertake the work based on your convenience and are flexible in our schedules, should you require it. Focus on your real priorities while we take care of the painting work in and around your home, apartment and other commercial spaces. We cater end-to-end services, right from colour selection to clean up solutions, once the work has reached completion. 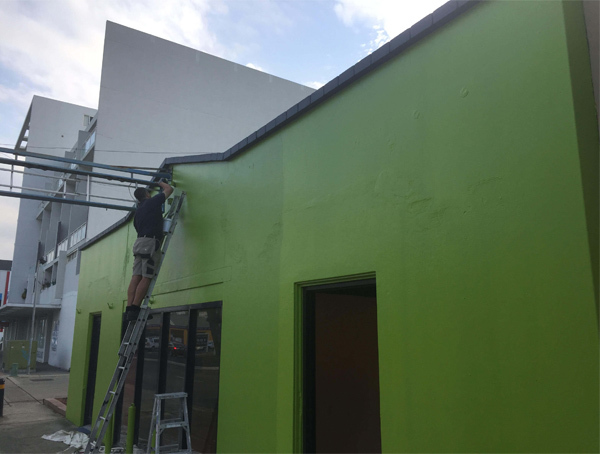 Advance Painters believe in providing high quality yet affordable solutions to all our clients within the time frame that has been previously agreed upon. Like to work with us? Call us at 0422 073 475 or mail us at info@advancepaintinggroup.com.au We are happy to offer you a quote after we assess the area that is to be painted.